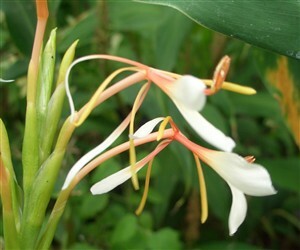 Hedychium spicatum CC A stocky, tough ginger with large flowers with primrose buds opening to white petals. Each flower looks like a moth at rest. Has scarlet stamens.